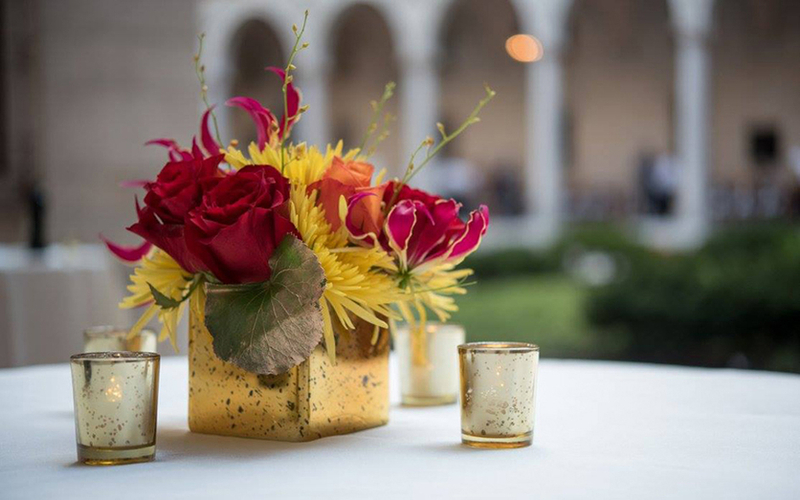 There are many unique ways to decorate a venue for a company function. 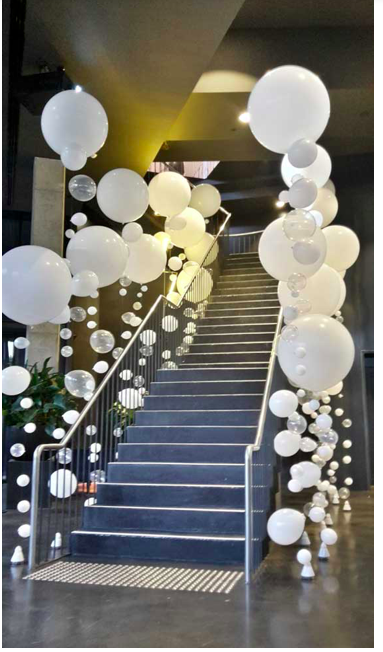 Balloons are one décor element that is often overlooked for a corporate event. 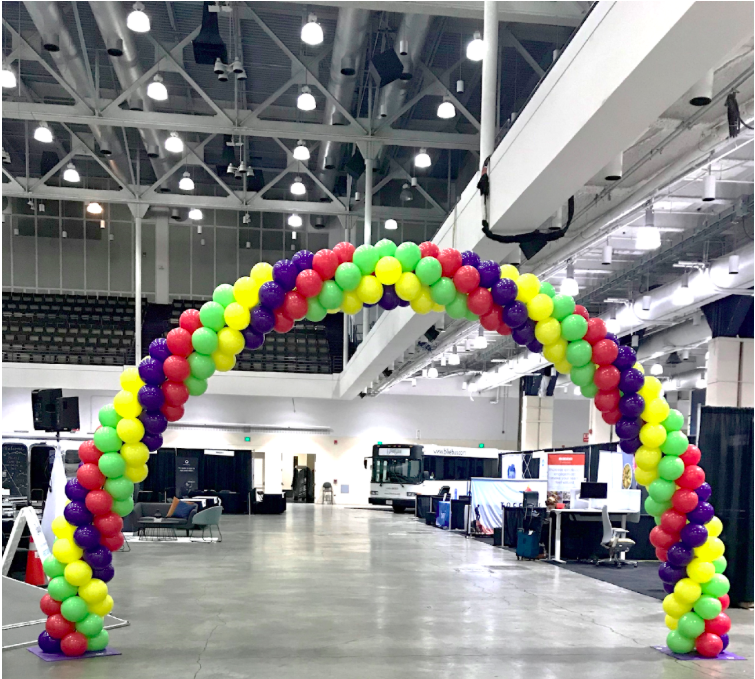 Although they are too often associated with just children’s events, we’re sharing some creative ways to incorporate balloons into your next corporate outing. Balloons come in an endless supply of color, shapes and sizes and are very versatile in how they can be used! 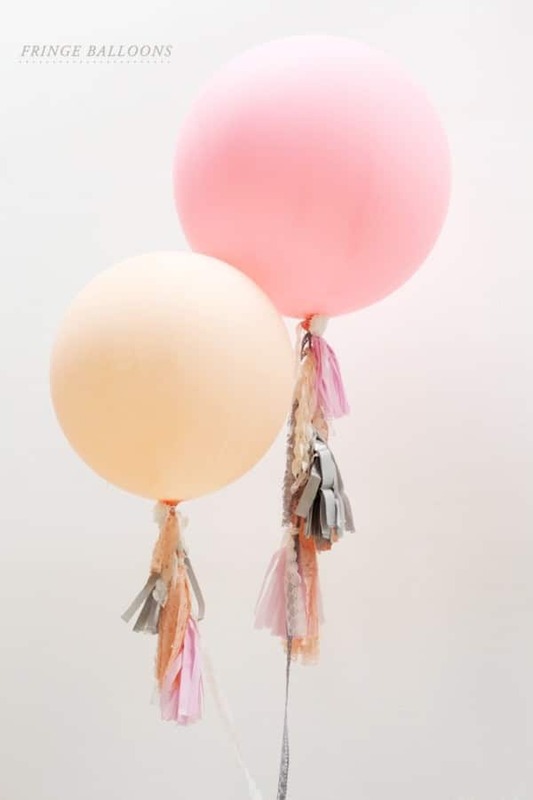 Balloons can be used to mark entries, add glam to a photo both or even be incorporated into a centerpiece. 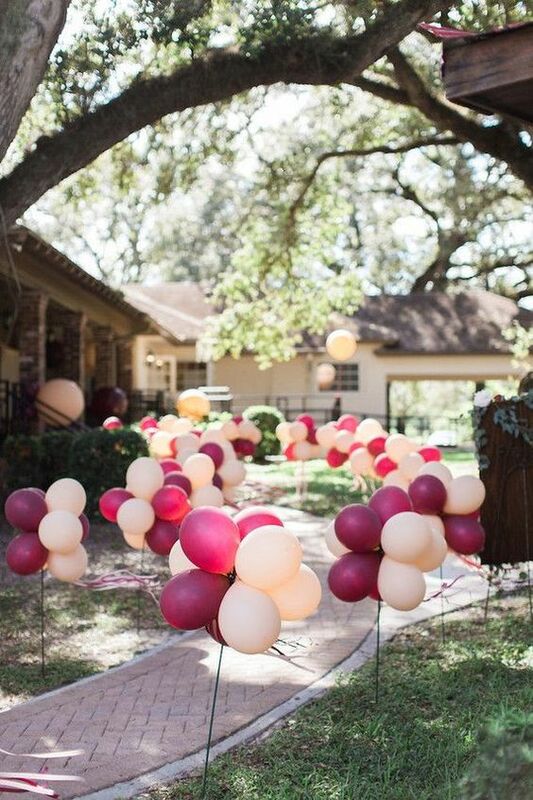 Greet your guests on the way into a function by marking the way with these staked balloons. This pretty walkway really sets the tone for your event and has your guests excited about what’s to come! 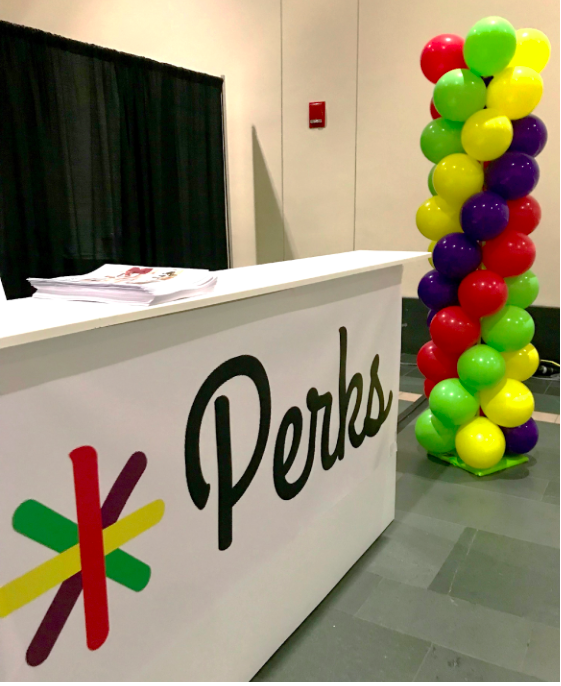 Consider balloon columns or arches to add a fun vibe to your next event like we did here at the PERKS Convention in Boston. Maybe your company needs something industry-specific? 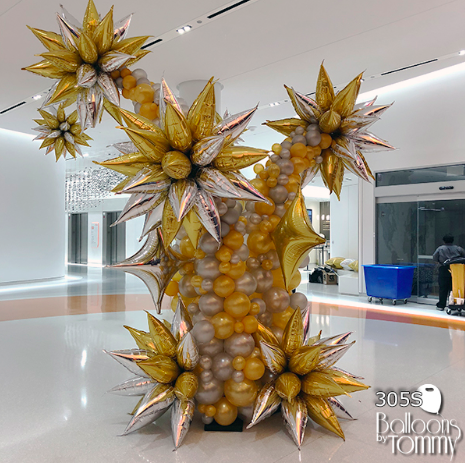 How about a balloon sculpture of some sort? 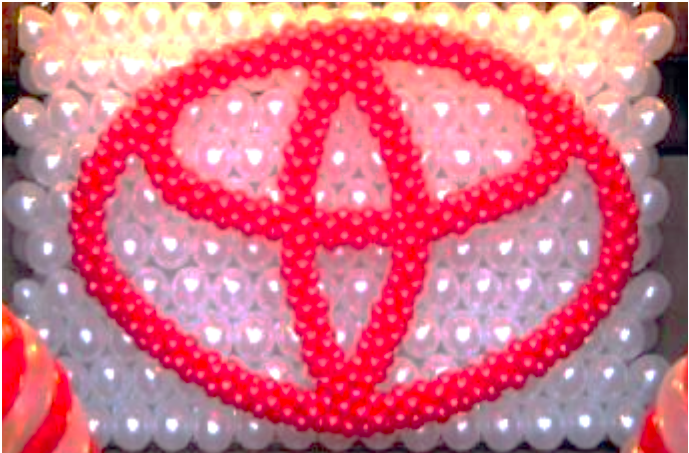 You would be amazed at what talented balloon companies can do! If you’re planning a sophisticated evening event, it probably doesn’t make sense to bring in bright colored balloons. Perhaps you opt for the white, silver or black options instead. Contact Swank Events today and we’ll make your next company event an amazing success!